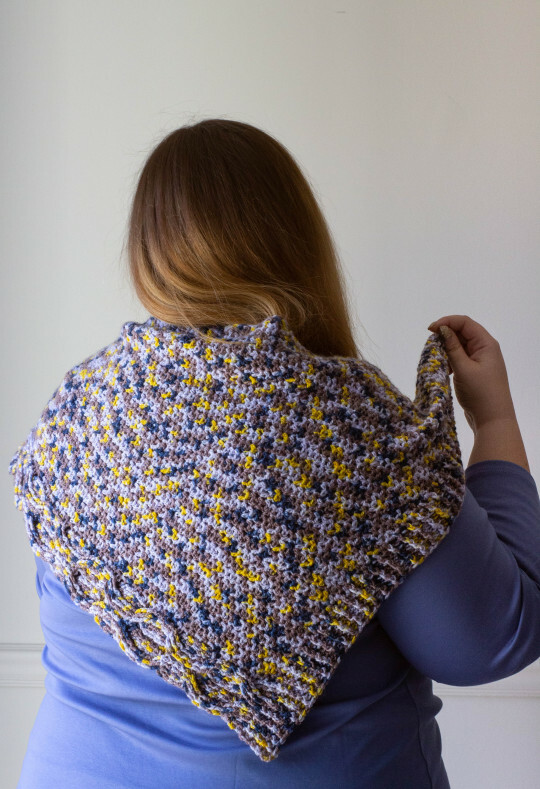 I wasn’t too sure about this colorway at first, but as a little shawlette, it’s turned out fine! 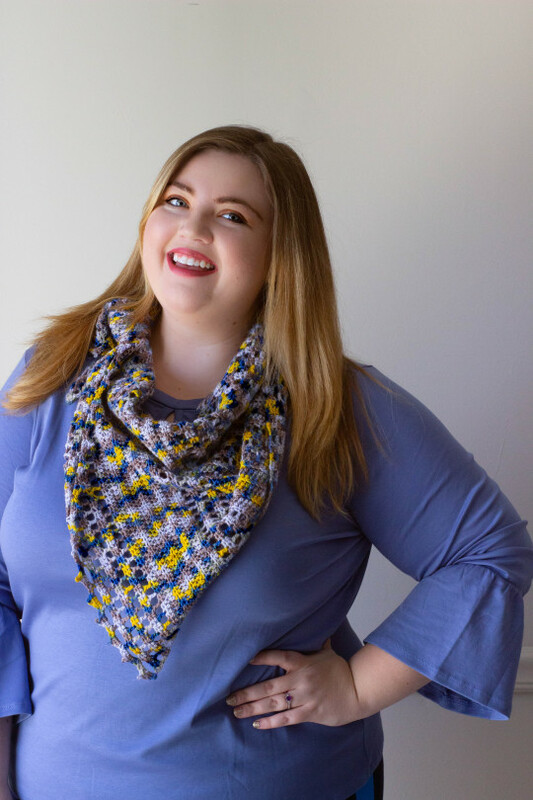 I can see this tucked into a navy peacoat, a quick way to brighten a winter day on the edge of Spring. 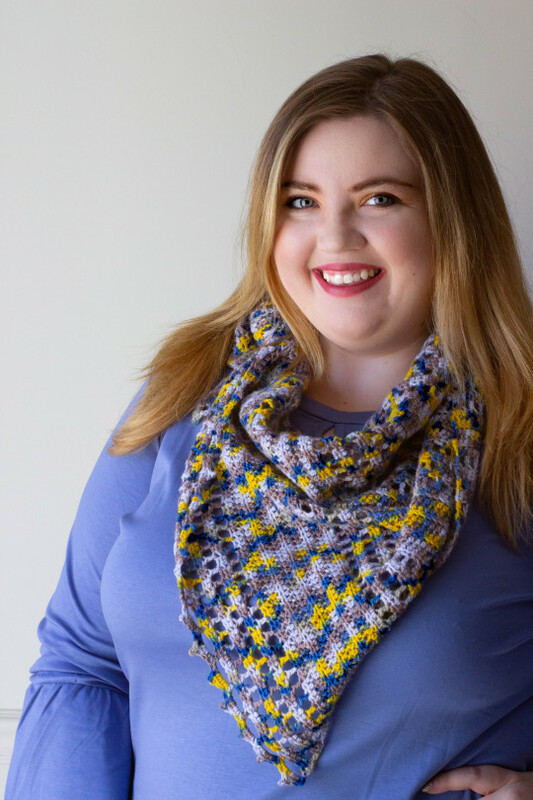 This crochet pattern is designed for 1 skein of our Knitologie Sheen from the March 2019 Knitcrate Membership Crate! Grab the cocoa and go sign up for this month’s Membership Crates! The last two shipments of our core crate have totally sold out, so we don’t want you to miss out on this month’s installment. 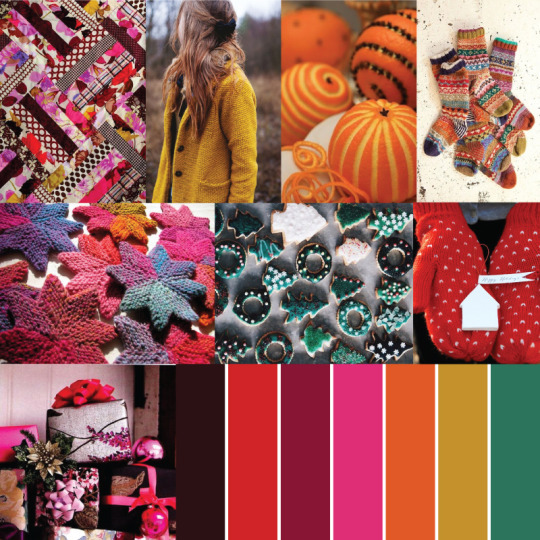 December’s theme is Handmade Holiday, and is all about the warm and fuzzy feelings we get around this time of year.